Efficient omnichannel strategies used to be the ultimate goal for retailers — a milestone to work toward on a continuous basis. But times have changed, and both shoppers and retail itself have evolved. Omnichannel is now the standard. But what exactly does omnichannel retail mean? Let’s roll with this working definition: omnichannel retail unifies all available shopping channels (in-store, online, mobile, social media, etc.) in a way that provides customers with smooth, integrated experiences. It’s that last part that’s the key, since seamless shopping experiences are one of the main things customers want from retail in the modern age. Today’s shoppers don’t differentiate between channels; rather, they switch fluidly from one to the other as if they’re one and the same, and they fully expect each retailer they patronize to successfully accommodate that practice. 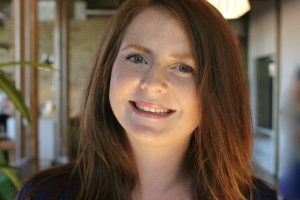 If a particular retailer doesn’t have an effective omnichannel strategy in place — or if the one a retailer does have is insufficient and disrupts the process in any way — customers are likely to avoid that retailer altogether. Now that we’ve outlined the importance of a thoughtful and robust omnichannel strategy, it’s time to take a look at the list of actionable steps we’ve put together to help you upgrade your business’s game plan — and to increase revenue in the process. Learn more below. 1) Start selling on more channels. Brick and mortar shops were once the foundation of retail, but ecommerce stores have largely replaced them as the primary sales channel in today’s digital age. Put another way: you don’t have to have a physical location. But you do have to have an online store. In order to increase revenue and maximize success, you want to make it as easy as possible for potential customers to find you — which means you want to have a sales presence in as many channels as you can. So, of course, an easy way to upgrade your business’s omnichannel situation is to expand your sales channels. If you’re a brick and mortar retailer without an ecommerce site, you’re losing out on business. But you’re in luck: setting up an online store and syncing it with your physical location is easy. Don’t believe us? Try Vend Ecommerce. If you already have an ecommerce outlet going, look to some of the up-and-coming sales mediums to round out your omnichannel strategy. Make sure your web store is optimized for mobile (nothing irritates a customer faster than not being able to shop easily on his or her phone), and do some research into selling on social. Ideally, customers would be able to buy your products via every major retail and social channel: online, mobile, Facebook, Twitter, Instagram, Snapchat, Pinterest, and in-store. Take Rebecca Minkoff, for example. By recognizing that today’s shoppers want their journey to seamlessly span all possible channels, the fashion retailer has crafted an omnichannel strategy geared specifically toward its ideal customer — pairing a thoughtful in-store experience with tech and multichannel retail. Check out the video below to see how it all works, and use it as inspiration for developing the best omnichannel strategy for your business. 2) Make your channels work together. It’s not enough simply to have a presence on all the sales channels we mentioned above. Each of your channels must work together, functioning as parts of a wider ecosystem. This means you need to have a comprehensive solution for the problems this presents. Among them? Inventory control, channel management, and returns — three things that are particularly important in creating a seamless omnichannel experience. But how exactly do you get all your channels to work together? How do you find a solution? For starters, get yourself a centralized retail management system if you don’t already have one. By implementing one system to take care of every part of your operations, you’re simplifying and enhancing your business at the same time. Point of sale systems like Vend handle all those complex behind-the-scenes necessities, such as aggregating inventory in your store or across multiple locations to ensure you never have too much or too little of any product. When your sales channels act as intuitive components of a larger organization, both you and your customers win. Shoppers experience an easier, more fluid buying journey, and you don’t have to worry about manually reconciling numbers or inventory at the end of the day. But imagine the potential headaches if you operate multiple channels independently rather than collectively. For example: you might sell out of a certain item without that being reflected on those channels, risking disappointing or even angering a shopper attempting to purchase that item. That negative experience can, of course, lead to poor reviews and word-of-mouth, as well as loss of future business. But luckily, there’s an easy way to avoid these pitfalls. Do some research to figure out which centralized point of sale system or retail management system might work best for the ins and outs of your business, and make the switch. It’s an investment that’ll quickly prove its worth. 3) Play to the strengths of your various sales channels. An effective omnichannel strategy doesn’t stop when you’ve expanded your sales reach and synced each outlet. It involves playing to the strengths of each channel and knowing both how shoppers use them and what they want from them. The good news is that it’s pretty easy to do this effectively. The first step? Thinking critically about how you use these different channels. What do you want when you log in to Facebook, Instagram, Pinterest, Snapchat, or Twitter? Use that personal insight to develop a channel-specific content and omnichannel strategy. Of all the potential social media sales channels, Facebook gives you the most space to impart information. But as we all know, “the shorter the better” is the name of today’s game — so you can write a bit more, but it’s best to keep it short. 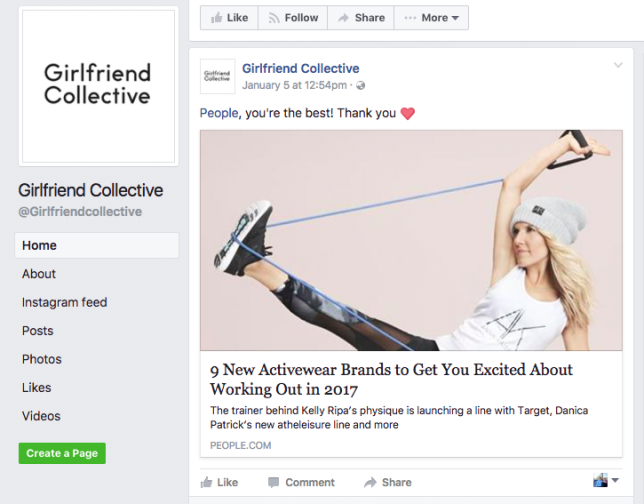 Facebook provides an ideal platform to summarize relevant content and then link to it, like activewear brand Girlfriend Collective does. Instagram, of course, is predominantly visual. This is where you curate a brand image and feature compelling photos of your products or services. If a picture showcases one of your products, always include a link to it on your website or information on how to purchase it. 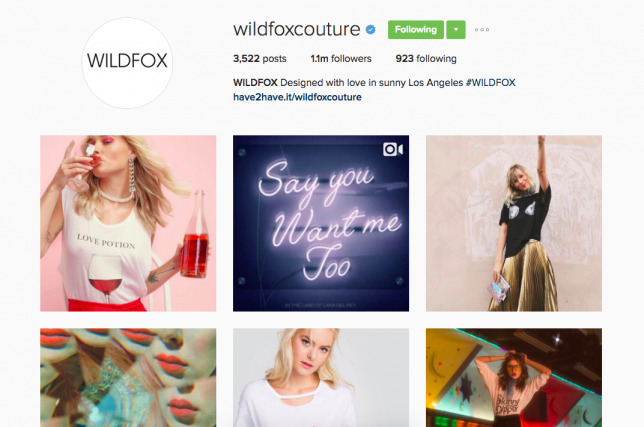 For some serious Instagram retail inspiration, wander over to Wildfox. And Twitter? Due to its 140-character limit, you’re fundamentally restricted in how much you can write. Because of that, it’s necessary to be strategic. Twitter’s a great place to showcase your brand voice — lighthearted, humorous, progressive, serious — while pushing to content, advertising a promotion, or simply trying to increase sales. Shoppers peruse brands’ Twitter accounts knowing they’ll likely be sent to a website via links, so take advantage of that. Use your tweets to send shoppers exactly where you want them to go. 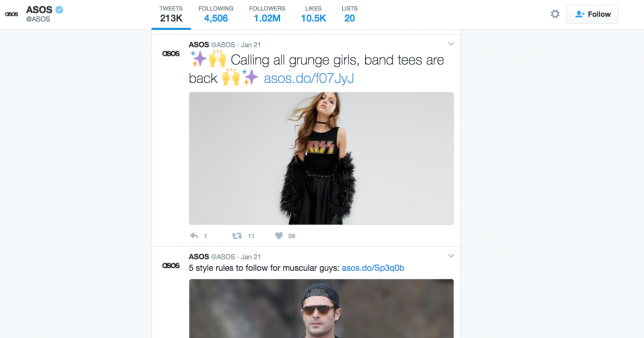 Check out ASOS’s feed for a crash course. 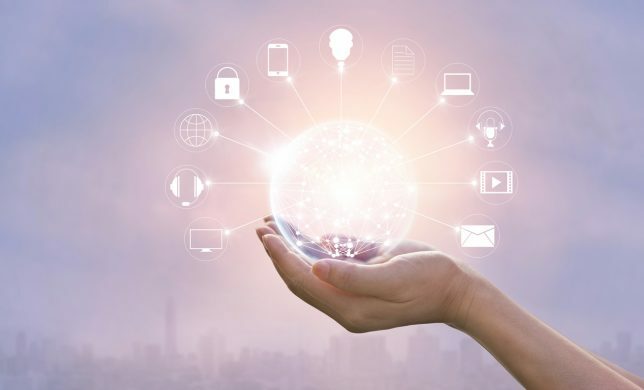 Developing a comprehensive, effective omnichannel strategy takes time and effort, but it’s absolutely essential to surviving and thriving in today’s ultra-competitive retail world. Will you be implementing these three steps to upgrade your game plan? Do you have other suggestions for creating an excellent omnichannel strategy? Let us know in the comments! The post How to Implement a Killer Omnichannel Strategy appeared first on Vend Retail Blog. 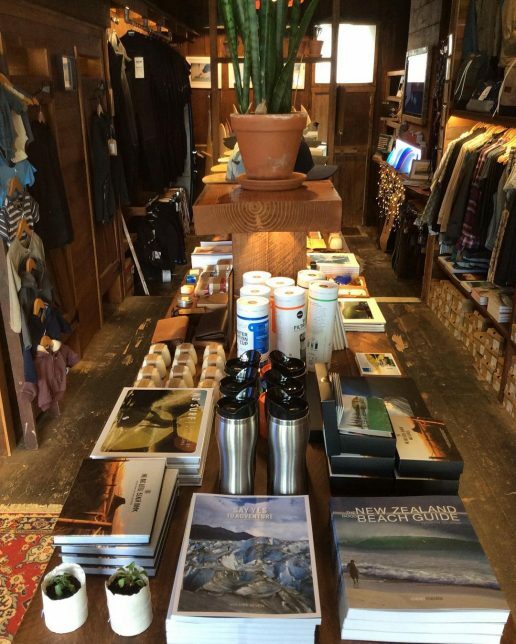 Environmentally conscious surf retailer Sitka hopped on the Vend train early on in both their business and ours. 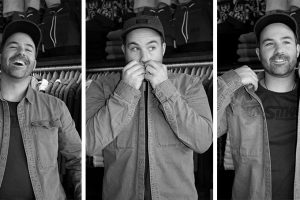 They’ve now grown from a garage surfboard shop (literally) to a haven for socially responsible boards, clothing, and gear, with a flagship store in New Zealand’s capital of Auckland — and they’ve stuck with Vend for the entire journey. 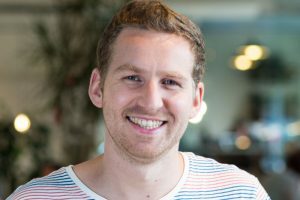 We talked to Managing Director Andrew Howson to find out more about Sitka’s mission (to “engage communities through inspiration, conservation, and the provision of purposeful goods for exploring the natural world”) and their experience with Vend. Read on for the interview. Tell us a bit about how you got started. What’s Sitka all about? Sitka began in 2002 with two friends shaping surfboards out of a garage. Since then, we’ve transformed our business to designing clothing and provisional goods for the outdoors, made as environmentally responsibly as possible and manufactured in either Canada, the USA, or New Zealand. What’s your local community like? Sitka’s community are an intelligent and inquisitive group of people who have a passion for environmental stewardship and owning quality goods designed to last for a very long time. They take time to invest in the products they buy and consciously try to consume less and less. What brought you to Vend? How have you found it? Would you recommend Vend to retailers like yourself? We found Vend simply on Google! I believe we were Vend’s 63rd customer ever, which we’re pretty proud of. 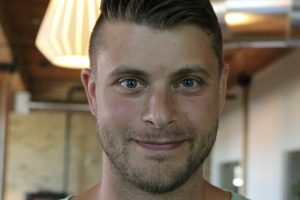 We enjoy everything about Vend, including the people who work there and, of course, the product itself. When we were starting out as a small entity with big, bright ideas, choosing Vend was a no-brainer. It seemed like the shining light we were looking for, and it ticked all our boxes. We recommend it to anyone thinking about a change to a brighter retail future. We’ve even brought a few new customers to Vend over the years! How did you find setup? What’s the specific situation in your store? Are you using an iPad, PC, or other device? Setting up was time-consuming but straightforward. With any new software install, the software is only going to be as good as the information you put in it at the start. We made sure we understood Vend’s full capabilities and created some great importable files, which meant we made full use of all the power Vend has on offer. We use Vend on a range of various platforms, including PCs, iPads, and even our iPhones! Why are you passionate about what you do? What drew you to this line of work? Inspiring people is a major driving force to my personal happiness. At Sitka, the products we create are unique and purposefully designed, and everything we make has a story behind it. Almost all of our decisions are based on environmental stewardship, encouraging others to learn about the environment, and teaching them how to become passionate about it. This in turn inspires many and puts a smile on my face. What advice do you wish you’d known when you started? Always have a Plan B! Tell us about your customers. The characters who walk through our retail doors are a never-ending source of amusement, awe, inspiration, and conversation. We make an effort to talk to everyone and anyone that comes into our place, and I can tell you now we’ve met many folks who’ve put smiles on our faces — from celebrities, local heroes, and global superstars to community icons and the oldest people in the neighbourhood. They’ve all got great yarns, and we love hearing each and every one. Follow Sitka on Instagram, hit up their website for all your surf-related needs, and visit their flagship store if you’re in the Auckland area. 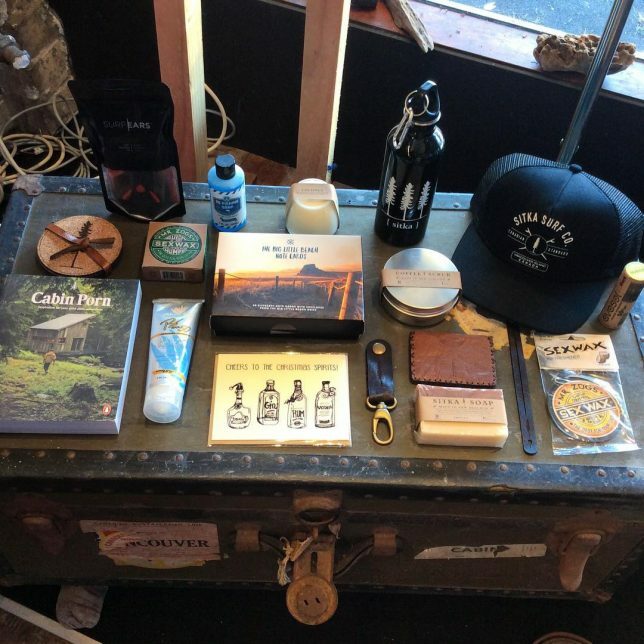 The post Vender of the Week: Sitka appeared first on Vend Retail Blog. Will We Be Seeing You at NRF 2017? Over the past 12 months, we’ve released a range of exciting features including a shiny new navigation, a revamped Xero integration, advanced user permissions, store credit, cash rounding, and a smoother stock control experience. We’ve also started working with more amazing partners, like Square in the USA, and we have over 19,000 stores (and counting) using Vend. We have plenty more changes in the pipeline for 2017, and we can’t wait to share them with you at NRF in New York from January 15 to 17! NRF is the godfather of all retail trade shows, attracting 33,000 attendees for several intense days of learning, networking, and experiencing the latest in retail. More than 500 solution providers representing all angles of retail exhibit alongside the education sessions that cover everything from mobile retailing and sustainability to research and global retail trends. Now that’s a busy agenda. Book a time to connect with the Vend team. Booking a time in advance to chat with us at NRF is a great way to ensure you see and talk to the right people during your busy schedule. Just click on the photo of the person you’d like to connect with, and confirm a meeting time — or email us directly. Find us at Booth 1413 and Booth 3731. Thanks to our awesome partners Star Micronics and SpacePole, we’ll be at two locations — so finding us this year will be easier than ever. See Vend in action, and experience our new look and features, including our advanced user permissions and quick variant setup. Find Star Micronics at booth 3731 and SpacePole at booth 1413. Still haven’t registered for your free ticket? If you’re a retailer but not an NRF member, it’s still your lucky day. Register for your free ticket to access the EXPO Hall by completing a super quick, easy form. Go on: do it now! Over the coming weeks, there’ll be more announcements and updates. Make sure you follow all the important social channels for networking with attendees. Keep up with NRF on Twitter. Join the discussions via the NRF LinkedIn Group. If you want to reach out in advance, feel free to drop us a line at events@vendhq.com. See you at NRF 2017! The post Will We Be Seeing You at NRF 2017? 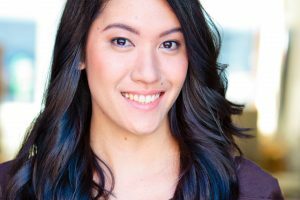 appeared first on Vend Retail Blog.